Technology is on the front lines to help healthcare organizations stay compliant, combat data loss, enhance authentication processes and improve security. Security is at the forefront for every healthcare provider. Whether it’s the myriad threats that bombard facilities on a weekly basis or the demand to better protect patient data and privacy, security is a stakeholder in modern healthcare success. But it’s when compliance comes into the picture that security goes from a necessity to a requirement, with high stakes for patients and providers alike. Healthcare organizations that fail to comply with today’s ever-stricter HIPAA compliance regulations for security and patient data access find themselves paying the price. That’s why it’s crucial in the “juggling act” of data, device and network security that providers don’t drop the compliance ball. That’s also why compliance is a major focus for organizations in 2016. HIPAA violation due to reasonable cause and not due to willful neglect. $1,000 per violation, with an annual maximum of $100,000 for repeat violations. $50,000 per violation, with an annual maximum of $1.5 million. $10,000 per violation, with an annual maximum of $250,000 for repeat violations. It’s clear that from a monetary standpoint, healthcare organizations truly cannot afford even the most innocent of HIPAA violations — but it’s also true from a reputation standpoint and a patient loyalty perspective. In the competitive healthcare arena, providers need every advantage against the competition. A security breach can be detrimental to patient care and the bottom line. Just like the healthcare organizations they work with, business associates and other covered entities are required to adhere to HIPAA security policies to safeguard Protected Health Information (PHI). What happens if a business associate or other covered entity incurs a breach? If more than 500 people are involved, the healthcare organization must let prominent media outlets, and HHS, know. HHS could fine the provider or the business associate up to $50,000 per violation, and both could face criminal charges. The new CSO at a mid-size hospital wanted to improve upon the security platform the organization already had in place. 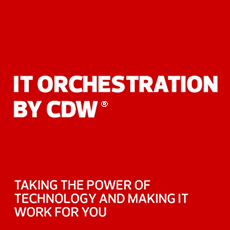 CDW Healthcare partnered with him to build a strategy to strengthen security protocols while aligning with the hospital’s long-term security goals. Every area of the healthcare organization was touched, from basic PC devices all the way up to network infrastructure coverage, proxy servers and outwardbound traffic. All solution components were rolled out in stages spanning three years. The hospital now worries less about becoming the next one hit with a security breach and is able to focus more on its mission of patient care. Security assessments. These encompass mobile security, endpoint security, risk assessment and compliance/threat prevention. We’ll conduct a targeted security analysis and network review, then design, configure and install a tailored security solution to help ensure hospital information is better protected. Vulnerability assessments. Our assessment team evaluates your current IT systems to determine and categorize present vulnerabilities. We then classify and rank them by criticality, helping you prioritize risks and handle the most destructive threats first. Finally, we provide a customized report helping you find the right means to address any vulnerabilities. Interested in talking to an IT expert about your security needs? Whether it's a stack of stolen paper files from a clinic or an exposure of millions of electronic patient records at a major hospital system, every data breach comes at a cost to patients, to healthcare providers and to quality care overall. Former FBI Director Mueller puts cybersecurity on par with terrorism as a top attack vector.